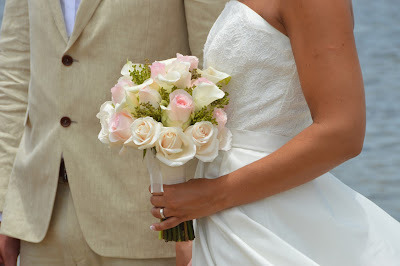 Bridal Dream Hawaii - Wedding Blog: Beautiful Bouquet! This is one of our best bouquets! Mini Calla Lily & Rose Bouquet with soft pink and ivory roses, by special request.